IMPORTANT NOTICE: DISPUTES ABOUT THESE TERMS AND YOUR USE OF THE SERVICES ARE SUBJECT TO BINDING ARBITRATION AND A WAIVER OF CLASS ACTION RIGHTS AS DETAILED IN THE "MANDATORY ARBITRATION AND CLASS ACTION WAIVER" SECTION BELOW. For purposes of this Agreement, "you" or "your" means the person who accesses, uses, and/or participates in the Services in any manner, and each of your heirs, assigns, and successors. If you use the Services on behalf of an entity, you represent and warrant that you have the authority to bind that entity, your acceptance of the Terms will be deemed an acceptance by that entity, and "you" and "your" herein shall refer to that entity. We may, from time to time, modify these Terms. Please check this page periodically for updates. Any changes will be posted on the Services. If you do not agree to, or cannot comply with, the modified Terms, you must stop using the Services. The updated Terms will take effect after their posting and will apply on a going-forward basis, unless otherwise provided in a notice to you, and except as provided in the Mandatory Arbitration and Class Action Waiver section of these Terms. Your continued use of the Services after any such update constitutes your binding acceptance of such changes. To use the Services you must be, and represent and warrant that you are at least 18 years of age, reside in the United States of America, and competent to agree to these Terms. If Hearth has previously prohibited you from accessing or using the Services, you are not permitted to access or use the Services. The Services are owned and operated by Hearth and contain materials (including all software, design, text, editorial materials, informational text, photographs, illustrations, audio clips, video clips, artwork and other graphic materials, and names, logos, trademarks and services marks) which are derived in whole or in part from materials supplied by Hearth and its partners, as well as other sources, and is protected by United States copyright laws, international treaty provisions, trademarks, service marks and other intellectual property laws. The Services are also protected as a collective work or compilation under U.S. copyright and other law and treaties. You agree to abide by all applicable copyright and other laws, as well as any additional copyright notices or restrictions contained in the Services. You acknowledge that the Services have been developed, compiled, prepared, revised, selected, and arranged by Hearth and others through the application of methods and standards of judgment developed and applied through the expenditure of substantial time, effort, and money and constitute valuable intellectual property of Hearth and such others. You agree to protect the proprietary rights of Hearth and all others having rights in the Services during and after the term of these Terms and to comply with all reasonable written requests made by Hearth or its suppliers and licensors of content or otherwise to protect their and others' contractual, statutory, and common law rights in the Services. You agree to notify Hearth immediately upon becoming aware of any claim that the Services infringe upon any copyright, trademark, or other contractual, statutory, or common law rights. All present and future rights in and to trade secrets, patents, copyrights, trademarks, service marks, know-how, and other proprietary rights of any type under the laws of any governmental authority, domestic or foreign, including without limitation rights in and to all applications and registrations relating to the Services shall, as between you and Hearth, at all times be and remain the sole and exclusive property of Hearth. Subject to your compliance with these Terms, we grant you a limited, non-exclusive, non-sublicensable, non-transferable, and revocable right to access and use the Services only for your own internal, personal, or non-commercial use, and only in a manner that complies with all legal requirements that apply to you or your use of the Services. Hearth may revoke this license at any time, in its sole discretion. a. User Content and Submissions. The Services may enable you to submit, post, upload, or otherwise make available (collectively, "Post") content such as photographs, questions, public messages, ideas, product feedback, comments and other content (collectively, "User Content") that may or may not be viewable by other users. c. User Content Representations. You acknowledge and agree that all User Content that you Post is your sole responsibility. You further agree that you have all required rights to Post such User Content without violation of any third-party rights. You understand that Hearth does not control, and is not responsible for, User Content, and that by using the Services, you may be exposed to User Content from other users that is offensive, indecent, inaccurate, misleading, or otherwise objectionable. Please also note that User Content may contain typographical errors, other inadvertent errors or inaccuracies. You agree that you will indemnify, defend, and hold harmless Hearth for all claims resulting from User Content you Post. We reserve the right, at our own expense, to assume the exclusive defense and control of such disputes, and in any event you will cooperate with us in asserting any available defenses. d. User Content Review. You acknowledge and agree that Hearth and its designees may or may not, at Hearth's discretion, pre-screen User Content before its appearance on the Services, but that Hearth has no obligation to do so. You further acknowledge and agree that Hearth reserves the right (but does not assume the obligation) in its sole discretion to reject, move, edit or remove any User Content that is contributed to the Services. Without limiting the foregoing, Hearth and its designees shall have the right to remove any User Content that violates these Terms or is otherwise objectionable in Hearth's sole discretion. You acknowledge and agree that Hearth does not verify, adopt, ratify, or sanction User Content, and you agree that you must evaluate and bear all risks associated with your use of User Content or your reliance on the accuracy, completeness, or usefulness of User Content. Attempt to do or assist anyone in attempting to do any of the above. Hearth provides lead generation services to connect users with certain lenders ("Lenders"). Hearth is not a lender or creditor, and we do not make any loan or credit decisions. We cannot and do not endorse or recommend the products or services of any particular Lender. You acknowledge and agree that Hearth is not an agent of either you or any Lender, and Hearth is not a party to any contract between you and any Lender. You should rely on your own judgment in deciding which available loan product, terms or Lender best suits your needs and financial means. The Lender is solely responsible for its services to you, and you agree that Hearth shall not be liable for any damages or costs of any type arising out of or in any way connected with your use of such services. By submitting a request for information related to lending products, you are further authorizing us to provide information that you provided, along with other information Hearth has or may receive from third parties, to Lenders or any other third parties as necessary to fulfill your request. You also authorize Hearth and its Lenders, along with any additional third parties necessary to fulfill your request, to request from one or multiple credit bureaus /reporting agencies, your credit bureau report including any ancillary credit scores or ratings. You understand that Hearth has no control and is not responsible for how Lenders use, retain, or disclose your information. We encourage you to contact each Lender to obtain information regarding their privacy practices. To the extent you have any questions or requests related to a Lender's privacy practices or communications practices, you understand that you must contact the Lender directly. The data and other information you may provide Hearth is not, and is not treated as, an application for any loan or product from Hearth, Lenders, or any other party. Hearth cannot and does not guarantee acceptance by any Lender or any other party. Individual Lenders establish and maintain their own approval standards. Likewise, Hearth does not guarantee that the loan terms or rates offered and made available by Lenders are the best terms or lowest rates available in the market. A Lender's conditional loan offer may be subject to market conditions, approval and qualification. The rates and fees actually provided by Lenders may be higher or lower depending on your complete credit profile, collateral/property considerations (if applicable) including but not limited to location, equity and value and income/asset consideration including but not limited to loan to value and debt to income ratios. Unless expressly stated in writing, nothing contained herein shall constitute an offer or promise for a loan commitment or interest rate lock-in agreement. Lenders may not offer all products as well as not offer products in all states. You might not be matched with the Lender making any specific offer. To help the government fight identity theft, the funding of terrorism and money laundering activities, Hearth and/or its Lenders may obtain, verify and record information that identifies each person who opens an account with them. They may ask for your name, Social Security Number, address, telephone number, date of birth and other important information that will allow them to verify your identity. Hearth has no control of any Lender's identity verification processes. By providing us with your telephone number, you are providing your express consent for Hearth or its Lenders to contact you by telephone at the numbers (whether landline or cellular) you have provided so they may provide you with information in response to your requests, and you hereby consent to any such calls even if your phone number(s) are on any Do Not Call list, or by email at the email address you provided or at another address that may be associated with you that we receive from Lenders. If you were referred to Hearth by a contractor or other service provider, you acknowledge that you are aware that Hearth may compensate your contractor or service provider for such referral. Additionally, you agree that Hearth may share any information that either (1) you provide to Hearth or (2) Hearth's lending partners have provided to Hearth about you with the source of your referral. This information may include but is not limited to, (a) the fact that you have contacted Hearth's lending partners to request information about loan products that they may offer; (b) whether any of Hearth's lending partners have provided potential rates to you for unsecured loan products; (c) whether you have navigated from Hearth to the website of a lending partner; and (d) whether you have obtained a loan from one of Hearth's lending partners. THE SERVICES AND ITS CONTENTS, WHETHER PROVIDED BY HEARTH, ITS LICENSORS, ITS VENDORS OR ITS LENDERS, AND OTHER INFORMATION ON OR ACCESSIBLE FROM THE SERVICES ARE PROVIDED "AS IS" WITHOUT WARRANTY, REPRESENTATION, CONDITION, OR GUARANTEE OF ANY KIND, EITHER EXPRESSED OR IMPLIED, INCLUDING BUT NOT LIMITED TO ANY IMPLIED WARRANTIES, REPRESENTATIONS, CONDITIONS OR GUARANTEES OF QUALITY, MERCHANTABILITY, FITNESS FOR A PARTICULAR PURPOSE, OR NON-INFRINGEMENT, ALL OF WHICH ARE DISCLAIMED TO THE FULLEST EXTENT PERMITTED BY LAW. SPECIFICALLY, BUT WITHOUT LIMITATION, HEARTH DOES NOT WARRANT THAT: (i) THE INFORMATION AVAILABLE ON THE SERVICES IS FREE OF ERRORS; (ii) THE FUNCTIONS OR FEATURES (INCLUDING BUT NOT LIMITED TO MECHANISMS FOR THE DOWNLOADING AND UPLOADING OF CONTENT) WILL BE UNINTERRUPTED, SECURE, OR FREE OF ERRORS; (iii) DEFECTS WILL BE CORRECTED, OR (iv) THE SERVICES OR THE SERVER(S) THAT MAKE THE SERVICES AVAILABLE ARE FREE OF VIRUSES OR OTHER HARMFUL COMPONENTS. HEARTH, ITS SUPPLIERS, LENDERS, AND INDEMNITEES ARE NOT RESPONSIBLE FOR INCOMPLETE, INCORRECT, LOST, DELAYED, LATE, MISDIRECTED, GARBLED, DAMAGED, ILLEGIBLE, UNDELIVERABLE, OR INCOMPLETELY RECEIVED COMMUNICATIONS OR MESSAGING FROM OR TO US OR YOU FOR ANY REASON, INCLUDING BY REASON OF HARDWARE, SOFTWARE, BROWSER, NETWORK, COMMUNICATIONS SYSTEM FAILURE, MALFUNCTION, DELAY, OR CONGESTION, OR ANY INCOMPATIBILITY AT OUR SERVERS OR ELSEWHERE, OR FOR ANY OTHER TECHNICAL PROBLEMS, ANY FORM OF ACTIVE OR PASSIVE FILTERING BY A USER'S COMPUTER, MOBILE OR OTHER DEVICE OR ACCESS PROVIDER, INSUFFICIENT SPACE ON USER'S COMPUTER, MOBILE OR OTHER DEVICE OR ANY OTHER CAUSE OR COMBINATION THEREOF. IN NO EVENT SHALL HEARTH OR ITS AFFILIATES, LICENSORS, VENDORS, LENDERS OR ANY OF THEIR RESPECTIVE DIRECTORS, OFFICERS, EMPLOYEES, AGENTS, OR OTHER REPRESENTATIVES BE LIABLE TO YOU OR ANY OTHER PERSON OR ENTITY FOR ANY DAMAGES, WHETHER DIRECT, INDIRECT, SPECIAL, INCIDENTAL, CONSEQUENTIAL, PUNITIVE OR OTHERWISE (INCLUDING, BUT NOT LIMITED TO, DAMAGES FOR LOSS OF PROFITS, LOSS OF DATA, LOSS OF USE, OR COSTS OF OBTAINING SUBSTITUTE GOODS OR SERVICES), ARISING OUT OF OR IN CONNECTION WITH THE SERVICES, ANY DELAY OR INABVILITY TO USE THE SERVICES, ANY MATERIALS, INFORMATION, OR RECOMMENDATIONS APPEARING ON THE SERVICES, OR ANY LINK PROVIDED ON THE SERVICES, WHETHER OR NOT HEARTH HAS BEEN ADVISED OF THE POSSIBILITY OF SUCH DAMAGES AND WHETHER BASED UPON WARRANTY, CONTRACT, TORT (INCLUDING NEGLIGENCE), STRICT LIABILITY, VIOLATION OF STATUTE, OR OTHERWISE. THIS EXCLUSION OF LIABILITY SHALL APPLY TO NEW JERSEY RESIDENTS AND OTHERWISE TO THE FULLEST EXTENT PERMITTED BY LAW. If you are a California resident, you hereby waive California Civil Code §1542, which says: "A general release does not extend to claims which the creditor does not know or suspect to exist in his favor at the time of executing the release, which if known by him must have materially affected his settlement with the debtor." This release includes the criminal acts of others. You agree to indemnify, defend and hold harmless us, our licensors, vendors, service providers, and each of our and their respective officers, directors, members, employees, independent and sub-contractors, agents, representatives, successors and assigns (collectively, "Indemnitees") from and against any and all claims, disputes, demands, proceedings, cause of action, judgments, damages, liabilities, losses, costs or expense (including, but not limited to reasonable attorneys' fees) of any kind and nature, known and unknown, suspected and unsuspected, disclosed and undisclosed (collectively, "Claims") which may arise out of or are in any way connected with your access, visitation and/or use of the Services, any information or content you submit through the Services, unauthorized use of content obtained on or through the Service, your breach or alleged breach of these Terms or any other terms governing your use of the Services, or from any of your unlawful acts or omissions in connection with the Services. The Services may provide (1) information and content provided by third parties, including Lenders; and (2) links to third-party websites or resources. Hearth is not responsible for the availability of such external sites or resources, and does not endorse and is not responsible or liable for (i) any content or other materials on or available from such sites or resources, (ii) any errors or omissions in these websites or resources, or (iii) any information handling practices or other business practices of the operators of such sites or resources. You further acknowledge and agree that Hearth shall not be responsible or liable, directly or indirectly, for any damage or loss caused or alleged to be caused by or in connection with use of or reliance on any linked sites or resources. Your interactions with such third parties will be governed by the third parties' own terms of service and privacy policies, and any other similar terms. Hearth reserves the right at any time to modify or discontinue, temporarily or permanently, the Services (or any part thereof), with or without notice. You agree that Hearth shall not be liable to you or any third party for any modification, suspension or discontinuance of the Services. These Terms are effective unless and until terminated by you or us. We may, in our sole and absolute discretion, deny you access to all or part of the Services at any time for any or no reason at all, with or without notice to you. If we terminate your right to access the Services, these Terms will terminate and all rights you have to access the Services will immediately terminate; however, certain provisions of these Terms will still apply post termination, including without limitation, the Mandatory Arbitration and Class Action Waiver provisions. Even if we terminate the Services or these Terms, we may (but have no obligation to) retain information you have submitted to us, and that information may be retained and/or remain viewable by us, our licensors, vendors, service providers and/or other third parties. You agree that Hearth may provide you with Hearth Notices and other communications, including those regarding changes to the Terms, by email, regular mail, or postings on the Services. You agree that all Hearth Notices and other communications that we provide you to electronically satisfy any legal requirement that such communications would satisfy if they were in writing. Your consent to receive communications and do business electronically, and your agreement to do so applies to all of your interactions and transactions with us. 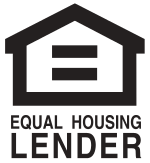 Without limitation, you agree that Hearth and applicable Lenders may communicate with you by sending a message to the email address you provided or at another address that may be associated with you that we receive from Lenders or other parties. You agree to provide us with accurate, complete, and current information about yourself and to promptly notify us of any changes. You can update your information by contacting us at support@gethearth.com. If email is undeliverable to your email address for three consecutive months, your consent will be considered withdrawn and we will send you future Hearth Notices in writing. You agree that you are able to access and retain copies of notices and information sent or made available electronically. You have the right to receive any document in non-electronic form. You may obtain a paper copy of Hearth Notices by printing it from your computer or by contacting us at support@gethearth.com. Where permitted by law, we may charge you a reasonable service charge for providing you with a paper copy of any Hearth Notices. The request for a paper copy of any Hearth Notices will not by itself constitute a withdrawal of your consent to receive Hearth Notices electronically. We reserve the right, but are not required, to send a paper copy of any Hearth Notices you authorize us to provide electronically. If you do not consent to the use of electronic signatures and Hearth Notices, you will not be able to complete the transactions for the Services. You may withdraw your consent to receive electronic Hearth Notices and instead elect to use the U.S. Postal Service to obtain Hearth Notices at any time by contacting Hearth Customer Service at support@gethearth.com. We do not impose a fee if you withdraw your consent to receive Hearth Notices electronically but our communications with you may be slower. If you withdraw your consent to receive Hearth Notices electronically, such withdrawal will not apply to Hearth Notices that were furnished to you electronically before the date on which the withdrawal of your consent takes effect. With your consent, Hearth or Lenders may also contact you by telephone or through text messages. If you have agreed to receive text messages or telephone calls from Hearth or Lenders, you also consent to the use of an electronic record to document your agreement. You may withdraw your consent to the use of the electronic record by sending an email to support@gethearth.comwith "Revoke Electronic Consent" in the subject line. To view and retain a copy of this disclosure or any information regarding your consent to receive electronic communications, you will need (a) a device (such as a computer or mobile phone) with a web browser and Internet access; and (b) either a printer or storage space on such device. For a free paper copy, or to update our records of your contact information, send an email to support@gethearth.com with contact information and the address for delivery. a. You and Hearth agree that these Terms affect interstate commerce and that the Federal Arbitration Act governs the interpretation and enforcement of these arbitration provisions. This Section 16 is intended to be interpreted broadly and governs any and all disputes between us including but not limited to claims arising out of or relating to any aspect of the relationship between us, whether based in contract, tort, statute, fraud, misrepresentation or any other legal theory; claims that arose before these Terms or any prior agreement (including, but not limited to, claims related to advertising); and claims that may arise after the termination of these Terms. The only disputes excluded from this broad prohibition are the litigation of certain intellectual property and small court claims, as provided below. b. Initial Dispute Resolution. Most disputes can be resolved without resort to arbitration. If you have any dispute with us, you agree that before taking any formal action, you will contact us at support@gethearth.com, and provide a brief, written description of the dispute and your contact information. Except for intellectual property and small claims court claims, the parties agree to use their best efforts to settle any dispute, claim, question, or disagreement directly through consultation with Hearth, and good faith negotiations shall be a condition to either party initiating a lawsuit or arbitration. c. Binding Arbitration. If the parties do not reach an agreed-upon solution within a period of sixty (60) days from the time informal dispute resolution is initiated under the Initial Dispute Resolution provision above, then either party may initiate binding arbitration as the sole means to resolve claims, (except as provided in section 16(g) below) subject to the terms set forth below. Specifically, all claims arising out of or relating to these Terms (including the Terms' formation, performance, and breach), the parties' relationship with each other, and/or your use of Hearth shall be finally settled by binding arbitration administered by JAMS in accordance with the JAMS Streamlined Arbitration Procedure Rules for claims that do not exceed $250,000 and the JAMS Comprehensive Arbitration Rules and Procedures for claims exceeding $250,000 in effect at the time the arbitration is initiated, excluding any rules or procedures governing or permitting class actions. d. Arbitrator's Powers. The arbitrator, and not any federal, state, or local court or agency, shall have exclusive authority to resolve all disputes arising out of or relating to the interpretation, applicability, enforceability, or formation of these Terms including but not limited to any claim that all or any part of these Terms is void or voidable, whether a claim is subject to arbitration, or the question of waiver by litigation conduct. The arbitrator shall be empowered to grant whatever relief would be available in a court under law or in equity. The arbitrator's award shall be written and shall be binding on the parties and may be entered as a judgment in any court of competent jurisdiction. e. Filing a Demand. To start an arbitration, you must do the following: (a) Write a Demand for Arbitration that includes a description of the claim and the amount of damages you seek to recover (you may find a copy of a Demand for Arbitration at www.jamsadr.com); (b) Send three copies of the Demand for Arbitration, plus the appropriate filing fee, to JAMS, Two Embarcadero Center, Suite 1500, San Francisco California 94111; and (c) Send one copy of the Demand for Arbitration to us at: 116 Natoma St, 3rd Floor, San Francisco 94105. To the extent the filing fee for the arbitration exceeds the cost of filing a lawsuit, Hearth will pay the additional cost. If the arbitrator finds the arbitration to be non-frivolous, Hearth will pay the fees invoiced by JAMS, including filing fees and arbitrator and hearing expenses. You are responsible for your own attorneys' fees unless the arbitration rules and/or applicable law provide otherwise. The parties understand that, absent this mandatory arbitration provision, they would have the right to sue in court and have a jury trial. They further understand that, in some instances, the costs of arbitration could exceed the costs of litigation and the right to discovery may be more limited in arbitration than in court. If you are a resident of the United States, arbitration may take place in the county where you reside at the time of filing, unless you and we both agree to another location or telephonic arbitration. For individuals residing outside the United States, arbitration shall be initiated in San Francisco County, California, United States, and you and Hearth agree to submit to the personal jurisdiction of any federal or state court in San Francisco County, California, in order to compel arbitration, stay proceedings pending arbitration, or to confirm, modify, vacate, or enter judgment on the award entered by the arbitrator. f. Class Action Waiver. The parties further agree that the arbitration shall be conducted in the party's respective individual capacities only and not as a class action or other representative action, and the parties expressly waive their right to file a class action or seek relief on a class basis. YOU AND HEARTH AGREE THAT EACH MAY BRING CLAIMS AGAINST THE OTHER ONLY IN YOUR OR ITS INDIVIDUAL CAPACITY, AND NOT AS A PLAINTIFF OR CLASS MEMBER IN ANY PURPORTED CLASS OR REPRESENTATIVE PROCEEDING. If any court or arbitrator determines that the class action waiver set forth in this paragraph is void or unenforceable for any reason or that an arbitration can proceed on a class basis, then the arbitration provisions set forth above shall be deemed null and void in their entirety and the parties shall be deemed to have not agreed to arbitrate disputes. g. Exception: Litigation of Intellectual Property and Small Claims Court Claims. Notwithstanding the parties' decision to resolve all disputes through arbitration, either party may bring enforcement actions, validity determinations or claims arising from or relating to theft, piracy or unauthorized use of intellectual property in state or federal court with jurisdiction or in the U.S. Patent and Trademark Office to protect its intellectual property rights ("intellectual property rights" means patents, copyrights, moral rights, trademarks, and trade secrets, but not privacy or publicity rights). Either party may also seek relief in a small claims court for disputes or claims within the scope of that court's jurisdiction. h. 30-Day Right to Opt Out. You have the right to opt out and not be bound by the arbitration and class action waiver provisions set forth above by sending written notice of your decision to opt out to us at support@gethearth.com with the subject line, "ARBITRATION AND CLASS ACTION WAIVER OPT-OUT." The notice must be sent within thirty (30) days of (a) the Effective Date of these Terms; or (b) your first date that you used the Services that contained any versions of the Terms that included this version of the mandatory arbitration and class action waiver, whichever is later. Otherwise you shall be bound to arbitrate disputes in accordance with the terms of these paragraphs. If you opt out of these arbitration provisions, Hearth also will not be bound by them. i. Changes to This Section. Hearth will provide thirty (30) days' notice of any changes to this section by posting on the Services. Amendments will become effective thirty (30) days after they are posted on the Services or sent to you by email. Changes to this section will otherwise apply prospectively only to claims arising after the thirtieth (30th) day. If a court or arbitrator decides that this subsection on "Changes to This Section" is not enforceable or valid, then this subsection shall be severed from the section entitled Mandatory Arbitration and Class Action Waiver, and the court or arbitrator shall apply the first Mandatory Arbitration and Class Action Waiver section in existence after you began using the Services. j. This Mandatory Arbitration and Class Action Waiver section shall survive any termination of your use of the Services. These Terms shall be construed in accordance with and governed by the laws of the State of California notwithstanding its conflicts of law principles. Except for claims subject to mandatory arbitration, any dispute arising out of these terms and conditions or the use of this site shall be initiated and conducted in the state or federal courts of San Francisco County, California, and you and Hearth consent to the exclusive jurisdiction of such courts. a. Force Majeure. Under no circumstances shall Hearth be held liable for any delay or failure in performance resulting directly or indirectly from an event beyond its reasonable control. b. No Waiver. No waiver of any provision of these Terms will be binding unless in writing, no waiver of any provisions of these Terms will be deemed a further or continuing waiver of such provision or any other provision, and the failure of Hearth to exercise or enforce any right or remedy in these Terms does not waive that right or remedy. If an arbitrator or a court of competent jurisdiction finds any provision of these Terms to be invalid, the parties agree that the court should endeavor to give effect, to the maximum extent permitted by law, to the parties' intentions as reflected in the provision, and the other provisions of these Terms will remain in full force and effect. c. Compliance with Law. You agree to comply with all laws of any domestic or foreign jurisdiction in connection with your use of the Services. d. Third-Party Beneficiaries/Relationship between the Parties. You agree that, except as otherwise expressly provided in these Terms, there shall be no third-party beneficiaries to these Terms. No agency between you and Hearth, or between Hearth and any Lender, is created as a result of the Terms or your use of the Services. e. Statute of Limitations. Except for residents of New Jersey, you agree that regardless of any statute or law to the contrary, any claim or cause of action arising out of or related to the use of the Services and/or these Terms must be filed within one (1) year after such claim or cause of action arose or be forever barred. f. These Terms (and all terms and conditions incorporated herein) constitute the entire agreement between you and Hearth and govern your use of the Services, and supersede any prior agreements between you and conditions on the subject matter. These Terms, and any rights or licenses granted hereunder, may not be assigned or delegated by you. These Terms, and any rights or licenses granted hereunder, may be assigned or delegated by conditions without restriction. These Terms bind and inure to the benefit of each party and the party's successors and permitted assigns. These Terms may not be modified by an oral statement by a representative of conditions. No agency, partnership, joint venture or employee-employer relationship is intended or created by these Terms. You agree that any agreements made by and between you and us in electronic form are as legally binding as if made in physical written form. If you are using the Services for or on behalf of the U.S. government, your license rights do not exceed those granted to non-government consumers. The section titles in these Terms are for convenience only and have no legal or contractual effect. Any provision of these Terms that by its nature is reasonably intended to survive beyond termination of these Terms shall survive. g. We may deliver notice to you in accordance with Section 15, or by posting a notice on the Services or any other method we choose and such notice will be effective on dispatch. If you give notice to us, it will be effective when received and you must use the following physical or email address: (1) 116 Natoma Street, 3rd Floor, San Francisco, CA 94105; or (2) support@gethearth.com. If you have any questions about the Services, please contact us at support@gethearth.com.